This web site picks up where the Every One His Witness Core Module leaves off. It applies the resources of the core module to specific witnessing contexts. Before you can access the context modules, you must complete the core module. Once you’ve completed the core module, you will receive the information that you need to create an account on the Every One His Witness web site. If you have not completed the core module and would like more information about it, please follow this link to the Concordia Publishing House web site. If you have completed the core module, go to Step 2. The leader of the core module workshop or study you attended will provide you with an invitation code. Visit the registration page, enter the code you received and follow the on-screen instructions to create an account. If you’ve completed the core module and have not received an invitation code, please check with your core module leader. If you still need help, please email support@everyonehiswitness.org. The Every One His Witness website has several features that you can customize, including a personal profile. Click on “My Profile” in the left-hand menu to access your profile. You can add photos, set preferences, and control access as part of your profile and through the “Settings” feature. Click on “Module Catalog” in the top menu to access the available context modules. The current modules will be listed first. Click on the module’s image or the “View Module” button below the description to access the module. Scroll down to see upcoming modules. Each context module is made up of several videos. The videos are listed under the title “Lessons.” The lessons are designed to be taken in order the first time through them. Once you’ve completed a lesson, it will be marked with a check mark. You can repeat a lesson anytime you want after you’ve completed it. The final lesson is a page with additional resources and links to web sites related to the witnessing context. While you’re taking lessons in a module, the module will be listed under the “Active Modules” tab on the “My Modules” page. The modules that you’ve completed will be on the same page under the “Completed Modules” tab. Once you’ve completed the video portion of a module (i.e., the Lessons), you will have access to the online forum associated with that context module. 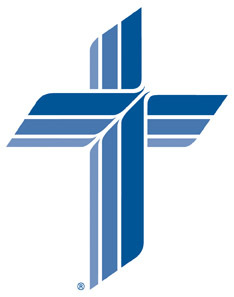 This forum will enable you to connect with other Lutherans who are interested in witnessing to people in this specific context. You can post questions, respond to other’s posts, offer people encouragement, etc. through the forum. Each new topic starts a new conversation (called a ‘thread’). Threads are stored indefinitely, which allows you to use them to research topics that have already been discussed.